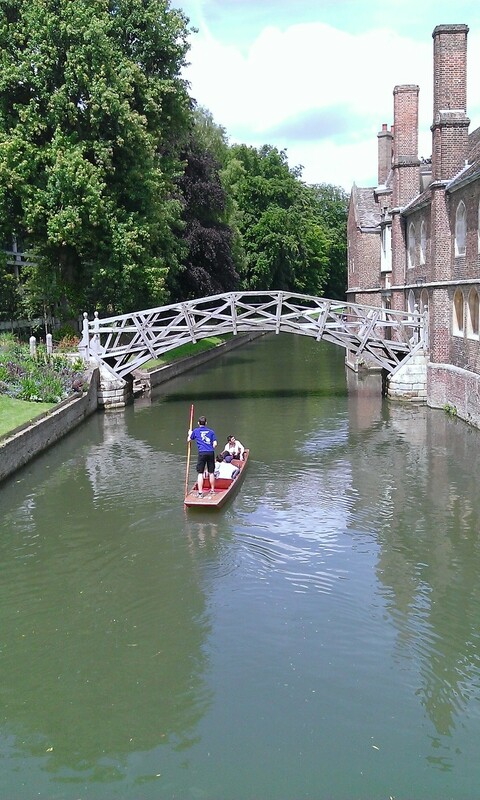 The Mathematical Bridge which connects the two parts of Queens College, Cambridge. I’m including this picture because it’s a reminder of summer which I’m looking forward to. I didn’t take out a punt last year but I will this year when the warm weather arrives. It’s great fun even if you can’t steer and even more enjoyable if you can. You steer by learning to drag the pole in the water not by trying to correct direction by lifting the pole out and then pushing off again. When you knock into another punt, it’s surprisingly easy to lose your balance when you’re standing up, particularly if you haven’t braced yourself. Following falling over 2 days ago, my bruised bum continues to heal slowly and I decided not to try to run today. I did take Rupert the dalmatian for a 2 mile walk so I’m counting that. I’ll try a little trot tomorrow and see how it goes. This entry was posted in Cambridge, Cambridge punts, Dalmatians, Exercise and heart disease, Heart disease, Janathon, Running, running with heart disease, Uncategorized and tagged exercise, heart disorder, Janathon, running, Running injury. Bookmark the permalink.